Renée has lived between Boston and Paris, France for the past five years studying fine art and art history. She has traveled throughout Europe and North America researching artwork ranging from the primitive and ancient to contemporary arts. 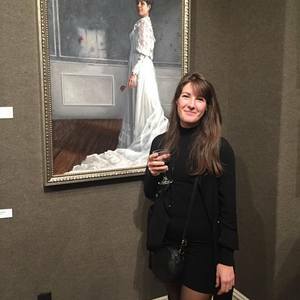 Aesthetically, Renée’s work is influenced by her classical sensibilities and art historical background that have developed throughout her travels and studies. In these paintings and her continued work, Renée explores ubiquitous themes through the eyes of a millennial such as divorce, life and death, equality and inequality, as well as addiction, making her work not a quotidian narrative but rather a relevant and relatable story. As a professional artist, millennial, and independent woman,now more than ever, Renée feels the need to express the American (and really Global) zeitgeist, and the expanding Diaspora of the world. In June 2016 she was awarded a grant by The Ringholz Foundation to fund her latest painting project. Renée has exhibited throughout the United States and France, including Paris, New York City, Boston, Vermont, Chicago, and Los Angeles. 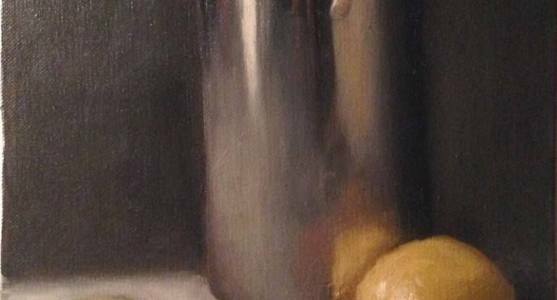 She was invited to join the Copley Society of Boston and the Salmagundi Club of NYC last year. Most recently, the muralist, Kent Twitchell, awarded her the “Patron Award” at the Brand Art Center’s 43rd annual juried exhibition in Los Angeles, CA. He commented that her work shows “devotion to the picture plane; she is not trying to jump on anyone’s bandwagon” and “sincerity”, making her work valuable and unique in the art world. Regular collaborations with Syntheater, a physical performance company based in Boston and Los Angeles. Please look at my website (reneecaouette.com), sign up for my mailing list (via my contact page on my website, or email me directly to be added at renee@reneecaouette.com), and follow my FB page (facebook.com/artistreneecaouette/) for updates on upcoming exhibitions and events.